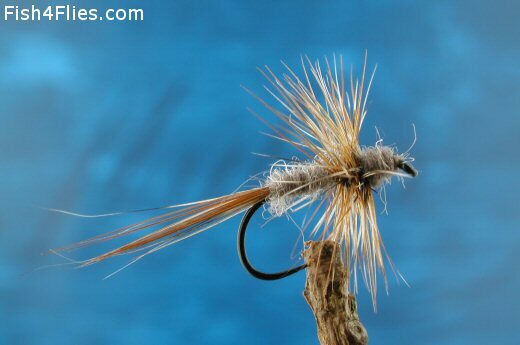 The Thorax Adams is a modern Irish dry fly that is an excellent variant of the original American classic Adam pattern. Tail : Red game and grizzle fibres. Body : Grey muskrat fur. Hackle : Red game and grizzle, wound together. Wing : Grizzle hen hackle tips. Currently there are no comments about the Thorax Adams fly pattern from other fly fishermen yet.